What does Orange offer start-ups? 25 European Corporate Startup Stars reveals which large companies are doing the most to support new firms. These case studies highlight some specific examples of active and successful collaboration between corporates and startups. Why does Orange work with start-ups? Orange engages with start-ups to solve business requirements and bring innovation to its customer base. How does Orange work with start-ups? With a variety of different start-up programmes and significant senior level involvement, Orange is collaborating with early-stage companies in over 12 countries and across four continents. Particularly interesting is its three-month accelerator, Orange Fab, which helps start-ups with an existing product or service to access its distribution channels, markets and executive expertise. In order to work with investment-ready start-ups in a faster and more connected way, Orange established Orange Digital Ventures, which invests in the technology, telecom and Fintech sectors. Orange Publicis Ventures (managed by Iris Capital) is another example of Orange’s commitment to investing in talent. Orange is also part of vertical-focused funds investing in start-ups, InnovaCom, Ecomobilité Ventures and Robolution. What has Orange done to facilitate collaboration with start-ups? 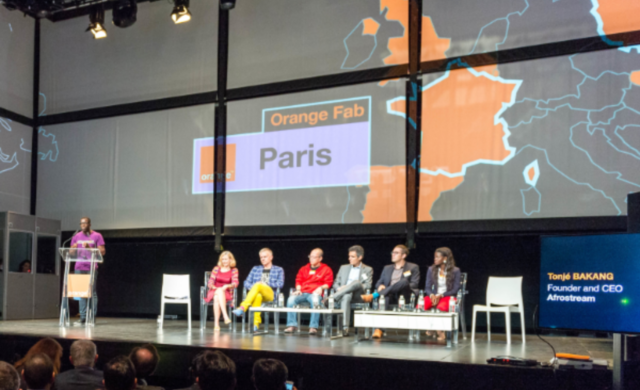 One of the key ways Orange targets start-ups is through its Orange Fab accelerator programme. As of today, Orange Fab has accelerated more than 180 start-ups over the past three years. These start-ups are supported for at least three months with workshops and expert mentoring sessions, as well as co-working spaces. In some countries, Orange also provides grants of up to a €15,000. The 12 Orange Fab teams scout for start-ups locally, as well as through an alliance with Go Ignite (which also includes Deutsche Telekom, Singtel and Telefonica) and through joint global call-outs for applications. The appointment of the Orange Digital Ventures team has also allowed Orange to reinforce its investment strategy and decision-making processes. Orange Digital Ventures is currently investing over $115m in eight tech companies, and individual investments usually range from $500,000 to $3m. The Orange Fab accelerator scheme has had many successes, including Hola, a video distribution network for publishers, supported by Orange Fab Israel. After being tested internally, Hola raised $17m in a funding round led by Orange Publicis Ventures (Iris Capital). What can other corporates learn from Orange about working with start-ups? What is Orange looking for from the start-ups it works with? Orange is looking for start-ups but also scale-ups to solve business problems and improve the customer experience of its clients. How can start-ups get involved with Orange?